The overall constellation of Saisons is sufficiently broad that beyond a bit of wheat and hay, there is little indication precisely what one is going to get when they taste an offering from the style. The beer pours with a yellow to light brown color and a whitish head that speckles its way down a glass. One will have to pour the Rye Saison fairly slowly, as there is a tendency for the head to accumulate to a pretty considerable size. California’s own Libertine Brewing has jazzed up the base saison style considerably with their Rye Saison, which has been given a great amount of depth due to its time spent in french oak. There is a sourness present even in the initial sip that colors the rest of the experience. The light about of sour taste that is present adds to the style rather than standing in bold opposition or (gasp) even overwhelming the typically softer-stated sides of a saison. The bit of funk that works its way through Libertine’s Rye Saison compliments the notes of oak, bread, and citrus that can be discerned here. This beer is Protean in the sense that no two sips are the same. There are just so many twists and turns that an imbiber will experience over the course of each larger format bottle that a sample simply will not cut it. We had a chance to check out their Exile on Broad Street last month. For additional information about the entirety of the year-round and seasonal offerings that Libertine crafts, check out their main domain. Further discussion about relevant events and new efforts which the brewery is releasing can be located at Libertine’s own Facebook and Twitter profiles. 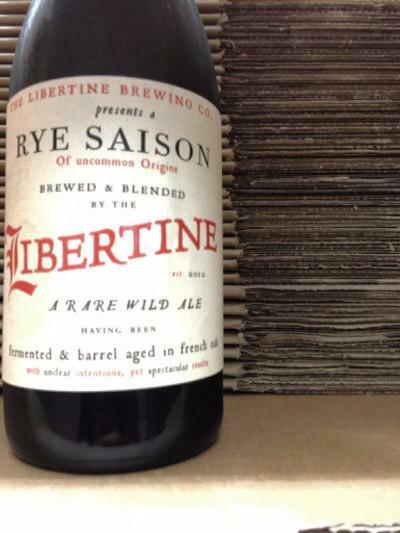 What do you think about Libertine’s beers?